Spreading the word about the raddest craft breweries - because they're all on the EAST side of the mountains. 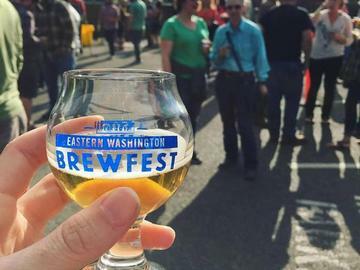 18 Craft Breweries and 2 Cideries from Eastern Washington will be coming to hang with Iron Horse in the 509 area code. Satisfy your tastebuds with stellar brews and food, jam to live music by Dimestore Prophets and Massy Ferguson, and actually enjoy the sunshine. [ rain not included ]. Pre-purchase tickets and be entered to win Sasquatch Music Festival Tickets for Memorial Day Weekend! Each ticket includes a 5 oz. custom tasting glass, 5 tasting tickets, and 1 raffle ticket. Limited tickets available for purchase at the door. For more information on breweries, bands, and such, click here.